If you were to ask your 10 year old self what a 'Field Day' was, you would hear tales of school trips to the local sea-life centre, packed lunches filled with warm Capri-Suns and that one time the weird kid pooed himself on the coach home. Fast forward past the awkward puberty, the degree you don't use and the job that has you living for the weekend. Now 'Field Day' has a whole different meaning. 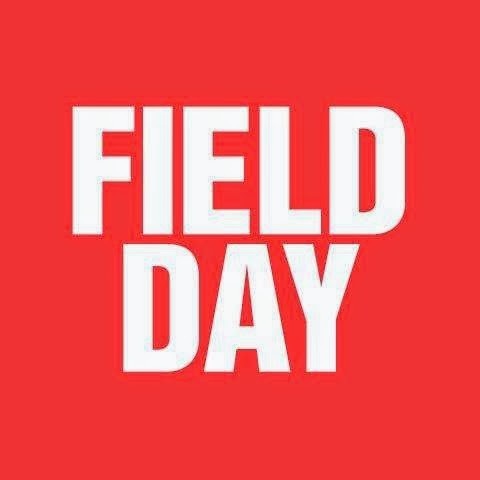 Field day is one of the most inspired festivals in the London calendar with an eclectic and boundary pushing booking approach. The roster includes an incredibly curated selection from the leading edge of electronic music through to the folk legends of yesteryear. We list 5 artists you may or may not be familiar with and why we’re itching to see them grace Victoria Park. He is the underrated beatsmith behind the emotionless drawl of Yung Lean and the Sad Boys movement. Beginning his journey playing around with old cheesy trance samples, Yung Gud has grown into a promising producer by pioneering the cloud rap/vapourwave/codeine-infused beats scene. It’s only a matter of time till we see him working with some bigger rappers, if he hasn’t already. Kanye-sense tingling. Tracks we want to hear: My Partner, Gatorade (Ft. Yung Lean), Forever 2001. The voice of the main lyricist, Wiki, may take a little getting used to for some. But give it time and you will discover some of the grittiest, rawest and most intelligent bars coming out of America right now. These guys are redefining the NY rap sound. Tracks we want to hear: Snow Beach, So it Goes, Canal. By no means a newcomer but after a string of huge releases featuring microphone prodigy Novelist, Mumdance has taken the grime sound into new alien worlds. We were lucky enough to see his performance at the launch night of his FabricLive.80 Compilation. Needless to say there was all-out carnage when he brought Riko Dan and Novelist on stage. Tracks we want to hear: One Sec, Take Time, Truth, Wut It Do. An elusive and somewhat anonymous character, SOPHIE’s releases have managed to split opinions more than any other; post-ironic genius or mindless cheese-pop? All we know is that his sickly sweet melodies and pitch shifted vocals sugar coat some hefty bass weight. His set last year at Oval Space was reminiscent of a high fructose-laced cheerleading competition scored by Dr. Robotnik. Tracks we want to hear: Lemonade, BIPP, Nothing More to Say, Hard. It seemed a lot of techno heads had their doubts about Nina Kraviz at first: the voguing between transitions, the Hugo Boss ads and THAT bathtub interview. However after endless touring, setting up her own label and releasing a dark and disturbing DJ-Kicks Compilation, it seems she has smashed through any preconceptions her audiences may have had. It’s taken way too long to getting round to seeing this Russian acid banshee. Tracks we want to hear: We’re hoping for set filled with an arsenal of techno and acid stompers. Props to Field Day for their booking selections. See you in Victoria Park!